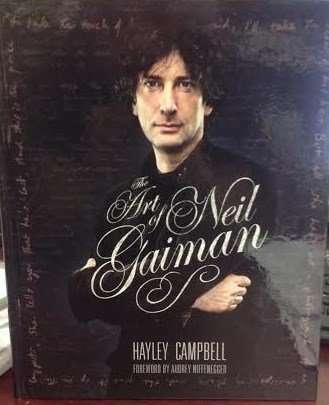 Just out from Harper-Collins, THE ART OF NEIL GAIMAN is a stunningly beautiful over-sized volume that offers fans a rare look into the personal archives of the author who has become an international cult favorite. A former journalist who branched out to write comic books and novels as well as film and television scripts, GAIMAN is probably best known for creating COROLINE, THE GRAVEYARD BOOK and THE SANDMAN series. One of the most overlooked aspects of the filmmaking prospects is screenwriting. A writing professor I dearly admire once mentioned that no great film came out of a bad screenplay, a theory that, since I’m a huge fan of visualists like Brian De Palma and Ridley Scott, I don’t fully subscribe to. That being said, scripts are a vital part of the creative process, and without great dialogues and set-ups the foundation of a movie is, at best, shaky. 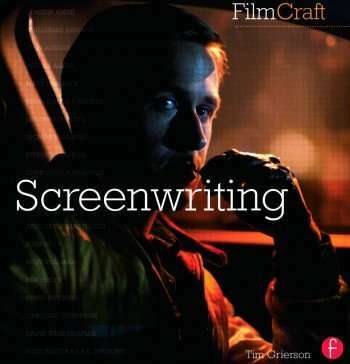 Focal Press’ movie series FilmCraft focuses on the myriad aspects of movie making, and their Screenwriting installment, from author Tim Grierson, is a must read for wannabe scribes. For cinephiles in need of a history lesson or just a refresher on some of Hollywood’s most revered writers, Grierson has a “legacy” section spread throughout the book, focusing on the accomplishments and lives of Paddy Chayefsky (Network), writing team Billy Wilder and I.A.L. Diamond (The Apartment), Woody Allen, Ingmar Bergman (The Seventh Seal), and Ben Hecht (A Farewell To Arms). The first chapter features an interview with Hossein Amini, the scribe behind the feature Drive, and one section of the piece deals with Amini’s process in adapting the Thomas Hardy novel Jude the Obscure to the film Jude. The section shows a finished script page next to Amini’s note cards on the opening scenes of the book. Amini also adapted the Henry James novel The Wings of the Dove, and he breaks down the film’s final sequences. Other writers interviewed for the book included Stephen Gaghan (Traffic), David Webb Peoples (Unforgiven), Billy Ray (Shattered Glass), and Mark Bomback (Zero Dark Thirty). As they talk about their lifelong cinematic influences as well as detail the inner workings of their craft, the immense world of screenwriting is given a clearer picture in this collection. FilmCraft: Screenwriting (Focal Press, 192 pages, and a ton of pretty pictures to go with all those words) is now out in stores. Andrew Dice Clay, the comic who in his heyday performed his insanely filthy limericks to an awaiting stadium crowd, only to see his career flounder and then slowly rebound once again, is penning a memoir for Touchstone. Titled The Filthy Truth, the book is co-written with David Ritz and will be published in May 2014. Dice Clay has proven his mettle as an actor, as he was convincing (as himself) in a recurring role on HBO’s Entourage. We also had the chance of seeing his supporting role as a blue collar worker who gets his dreams dashed in Woody Allen’s latest feature Blue Jasmine, and he’s absolutely believable (and a bit heartbreaking) in the part. Blue Jasmine, headlined by Cate Blanchett in an Oscar worthy performance, opens in New York and Los Angeles on July 26. For film enthusiasts, students, or essentially individuals who want to learn more about filmmaking, Directing: Film Techniques And Aesthetics is an exhaustive (in a good way), precise, and informative look at the process. Whether it’s working with your actors, setting up a frame, pre-production, or even editing, this book has a ton of information to sift through. We talked to co-writer Mick Hurbis-Cherrier, who also teaches filmmaking at Hunter College, about the book and asked him what makes a great director. Outbreak: The book has its fair share of analytical theory along with talking about the nuts and bolts of directing. Why was it important to have that element in the book? Hurbis-Cherrier: Theory and practice are not as far apart as a lot of people think. We really talk about this in a lot of detail because it’s important for filmmakers to understand how a film communicates with an audience. All of the techniques of cinema that have already been developed, techniques that prompt an audience to laugh or to sit on the edge of their seats, or to cry when you want them to cry, all of these techniques have been developed and are out there – available. A young filmmaker can easily make these part of their storytelling toolbox. That’s why we concentrate on elements of mise-en-scene and montage. They are not just (used for) theory but are very practical tools directors use to tell their story. Outbreak: One section of the book talks about naturalistic versus a stylized approach to directing. How important are those elements in making a film? Hurbis-Cherrier: It’s all part your pre-production preparation. One of the major interpretive roles that a director brings to their job is translating this literary manuscript into a story for the screen. There’s a range of stylistic approaches a director can take. We talk about naturalistic, stylized and expressionistic (approaches), but these are not fixed approaches. They are part of a sliding scale that a director can consider for their particular stylistic interpretation. It would be an interesting experiment if you give a screenplay to three different directors – you’d get three different films. Imagine giving the same screenplay to David Lynch or Woody Allen. It was important to us to get people thinking not just in terms of the story and what they’re saying but how they’re telling their story. The essential stylistic slant should be considered way up in pre-production, before the cameras start rolling. Outbreak: With the influx of DSLR cameras and the ability for people to edit on their laptops with Final Cut Pro, do you see the language of cinema expanding in a good way? Hurbis-Cherrier: That’s a tough question to answer, because I think there is an upside and a downside. The upside is that a person who is really serious about making films can grab a DSLR or an HD camera and for very little money they can practice their craft. And they can make a lot of films, learn from their successes, and learn from their mistakes without shelling out too much money. It’s one of the things I wish I had when I was in film school. The cheapest way to go back then was 16mm film, so you couldn’t make that many films. You couldn’t cut your teeth on a lot of projects. Today you can have an idea, shoot it, cut it, screen it, and learn from it quickly and inexpensively. And then go out and make another one. So that’s really an upside. The downside is that everybody has easy access and can make a film, whether it’s a serious effort or not. They can make a film and throw it online. So, for viewers it becomes really difficult to wade through the dross to find the good films and filmmakers and for a young filmmaker who is really good, they have to somehow develop a strategy to somehow get their films noticed. That’s tough. Outbreak: In your opinion, what makes a great director? Is it someone who can successfully communicate his or her vision? Hurbis-Cherrier: I think there are so many elements to being a really good director. The first thing is you have to recognize your own sensibility, the kind of stories you want to tell. The way you like to tell stories. To really understand what your contribution is. I see a lot of directors who are facile, they are capable enough but they haven’t come to terms with who they are as a creative artist. What their identity is as a director. It’s like, no one else can make a Scorsese film. Only Martin Scorsese can truly make a Scorsese film. That’s what makes him a great director, he knows who he is. So a young director needs to ask themselves, who am I? The second thing is to be very clear about your vision and to communicate with all the creative collaborators. It’s a delicate balance. A successful director balances staying true to a vision but at the same time listens to the suggestions of the collaborators that might actually improve the film. You have to have a strong idea for your film but when something better comes along you have to be flexible enough to go with it. Directors are lucky if they make a film every two years, but a cinematographer or a sound designer or an editor, may make four or five films a year. They are expert at troubleshooting and coming up with solutions to the problem of getting something from the page to the screen. They are a valuable resource for the director all along the way. The third important thing is to understanding that your first ideas for interpreting a script should never be written in stone. There are so many places along the way where you can improve a film – from developing the script all the way to the editing and sound design and color correction. You have to keep your ideas somewhat flexible right up until picture lock. Outbreak: Another important aspect is to really love what you do as a director, I would assume. Hurbis-Cherrier: I don’t know if anybody loves every step of the way. You sort of come to hate it at some point, where hate is an act of love. (laughs) You have to have a strong love in the beginning and of course you have to have perseverance – no matter the budget you’re working with. Making a successful film is always a huge, labor intensive process. You coordinate a lot of people’s energy, you deal with a lot of personalities, and it’s quite a physical journey too, so you have to have perseverance and of course you only have perseverance if you love what you’re doing. Outbreak: Directing Film Techniques and Aesthetics is now in its fifth edition, and this is your first crack at co-writing the book? Hurbis-Cherrier: This is my first run with this book. 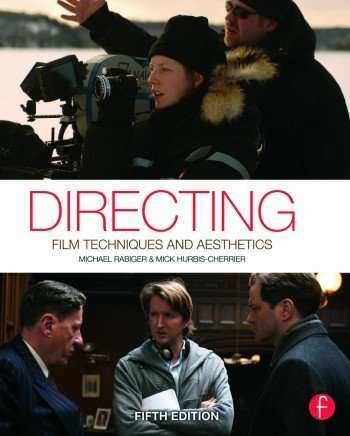 Directing was Michael Rabiger’s book for the first four editions, and then I was brought in to help with the fifth edition. I think the idea was this was going to be a significant overhaul from the first four editions. The book needed to shed some of its weight, so they brought me in to add a fresh perspective and to update it. I have another book with Focal Press called Voice & Vision: A Creative Approach to Narrative Film and DV Production. That book is doing very well and based on that they invited me to do this fifth edition. Michael and I looked at every single section of every single chapter and we rebuilt it from the ground up. Our guiding principle was not to touch anything that professors and students have loved over the years while we made changes elsewhere. There are some additional things that have been inserted here and there and some material moved around. For example, the discussion about the two positions a director takes during the filmmaking process – the Concerned Observer and the Storyteller – has been consolidated make it more comprehensive. It was almost like writing a new book. Outbreak: Is the website www.directingbook.com a companion or addition to Directing Film Techniques and Aesthetics? Hurbis-Cherrier: It’s complementary to the book and that is why we point to it quite a bit. One of the things that was in the (earlier versions of the ) book were a lot of film analysis and production exercises and project assessment forms. Those took up a lot of pages. We took all those sections and put them on the website. If you read the book and want to shoot a couple of projects, you’ll find a lot of production exercises on the website, and all the production forms you need, and more advice on things like location scouting. It’s an organic extension of the book. To order Directing: Film Techniques And Aesthetics on Amazon, click here. Glee star Jane Lynch is one of the most talented people in Hollywood. She is a brilliant actress, and an accomplished author who published her memoir last year (Happy Accidents). Lynch opened up about her personal life in the book, and told us that writing her book was a cathartic experience. 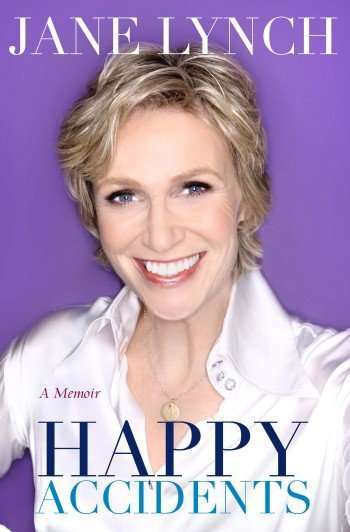 Check out Jane Lynch’s book, Happy Accidents, at book stores or online. Catch Lynch in a new episode of Glee this Thursday night 9/8 central on FOX! 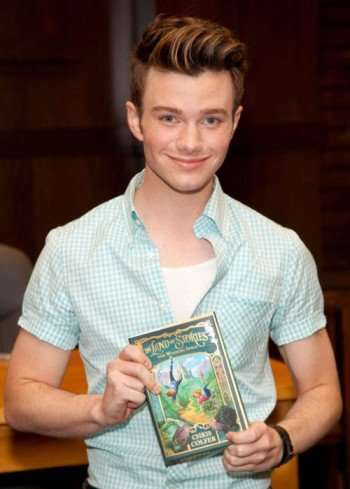 Soon to be seen in STRUCK BY LIGHTNING as a crafty high-school literature student who blackmails the local misfits into contributing to his journal, GLEE star CHRIS COLFER is making major waves in the real world of publishing. The first installment in his fairy tale franchise LAND OF STORIES: THE WISHING SPELL not only hit #1 on one of The New York Times’ bestseller lists but is now in its fourth printing. In addition to that, his novelization of his original screenplay for STRUCK BY LIGHTNING has recently his the stalls. An award-winning actor for his role as Kurt Hummel on the hit Fox-TV series GLEE, COLFER is living his dream to be a published author and, during our interview last weekend, he talked about that dream coming true as well as addressing the rumor that LAND OF STORIES might see the light of the big screen.